This week’s Mystery Shop is a sad one. Not because of the service received, in fact far from it but instead because it was a sorry reminder of the changing state of our High Street and some of the casualties caught up in its demise. 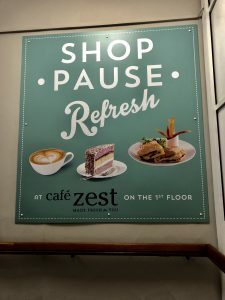 Here’s what I thought when I headed to Café Zest at House of Fraser, Cavendish House for a weekend catch up with my blogging bestie Lesley from placeswithEd – or in this case places without Ed, as he was spending time with his Daddy. 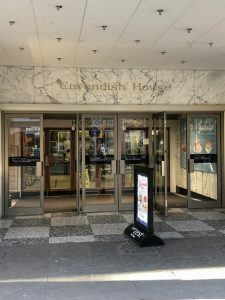 Cavendish House was quiet; there was hardly a soul in the café so I did wonder if this would impact on the morale of the staff and if this visit would therefore not be a particularly fabulous one. However, Richard was an absolute joy to be served by. He was friendly, personable, so incredibly polite and could not have done more to assist wherever he possibly could. Nothing was too much trouble and he was very happy to engage with us. I would re-visit Café Zest just for the service he offers alone. Just fabulous! Although the café was quiet, Richard busied himself by ensuring tables were cleared and that the café was clean and tidy. He got a bit confused when asked what time the café was closing but apart from this tiny blip, was very efficient and was able to deal with all other enquiries. He presented us with the café loyalty card with a proud flourish and processed payment without any issues. There was no queue so we did not have to wait long at all but even later, when a few more people started to trickle in, then no one had to wait long to be served. 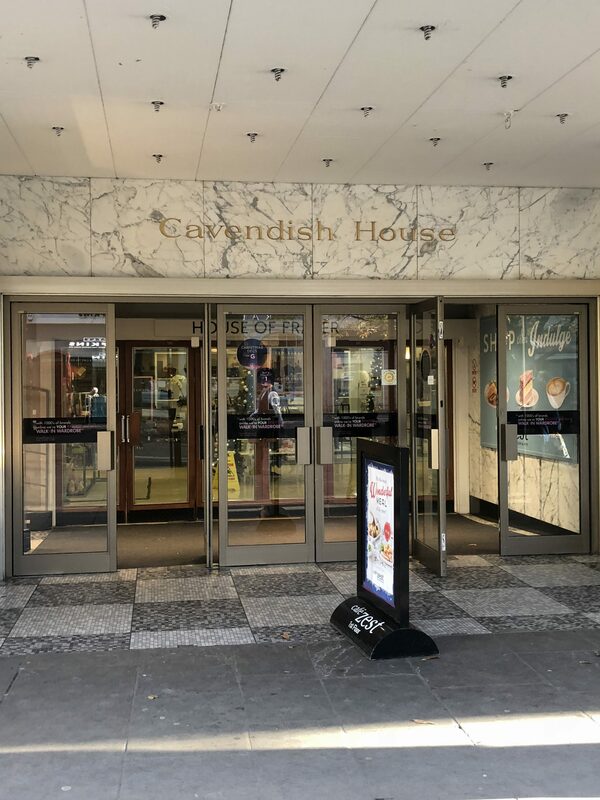 As Richard was so diligent and efficient, orders were organised quickly and it wasn’t long before we were able to sit down in our comfy chairs for a good chat over a cup of tea. This is where things dipped a little as even though Lesley’s peppermint tea and my breakfast tea were lovely and well presented, the sponge of the Sweet Lemon Drop Cake I chose wasn’t as moist or soft as I would have expected. Possibly it had been out on display for a bit too long. However it was at least edible. There was a wide range of lovely cakes and snacks available so I’ll definitely be popping back at some point to try some more to see if they are any better. 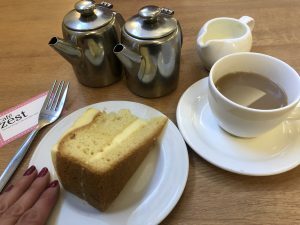 Although it was sad to see House of Fraser so empty, I’m really glad I visited the café. Richard was an absolute pleasure to be served by and if there were more Richards in the Customer Service world, then I would have very little to complain about. 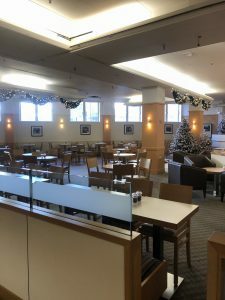 I really hope that regardless of what the New Year brings, that it will be a Happy Christmas at House of Fraser but it will need your help for that to happen. 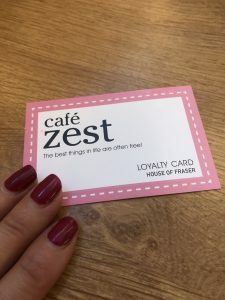 Please do pop in to Café Zest when you’re next in town as House of Fraser was definitely worth a visit. Until next week! Cin cin!